Here is a surprisingly controversial statement: The iPad is going to be huge. 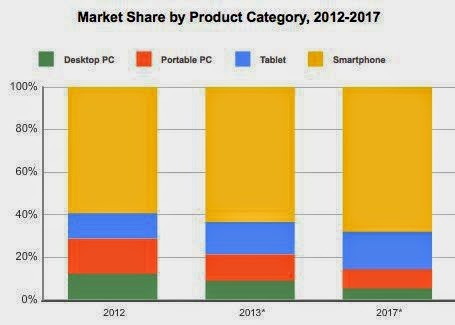 Tablets, in general, will someday soon not merely outsell personal computers, but actually replace them, even in businesses, and in productive capacities for which people currently believe “only a PC will do.” Insofar as tablets are PCs, Apple’s flat sales of iPads indicate that people don’t need as many PCs as they once did. 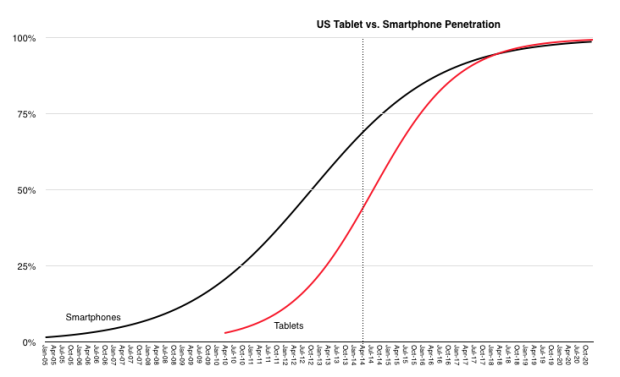 And with tablets still in their infancy, the assumption that tablets won’t continue to become more ubiquitous, and that Apple won’t be dominant in that process, is a failure of imagination. If the iPad is a personal computer, Apple is the single largest manufacturer of PCs, even excluding the number of Macintosh computers it sells. If the iPad were a business unto itself, it would be a Fortune 100 company. Does that sound like a company that’s “blowing it”? This is so true. I am totally sure that the iPad (tablets) will replace computers in a few years. It has already done that for me already, and I am sure the iPad could do that for most users already if they only knew it could. And they will only get more powerful every year, and be able to do more and more stuff that we earlier only could do on a computer.